Just like every year since at least 2010, Skillz revisits the stories that shaped our culture. In his new song "2016 Rap Up," rapper Skillz recaps the past calendar with aplomb. Spitting over an old school beat, Skillz gives his verdict on an eventful -- some will say crazy -- 12 months saying "they keep shooting Black men but wouldn't shoot killer clowns." 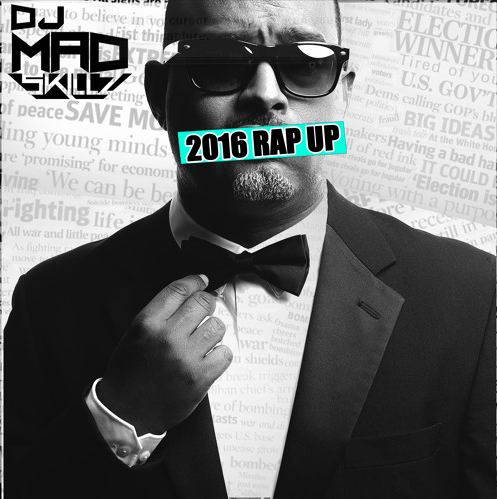 That line pretty much sums up Skillz's opinion on what 2016 brought us. The track comes off as a list of every absurd iteration of reality Americans were subjected to, like a dream you can't wake up to. The song culminates in Trump's unanticipated victory in the presidential elections and the hopes that pros will take back the reigns in 2017.